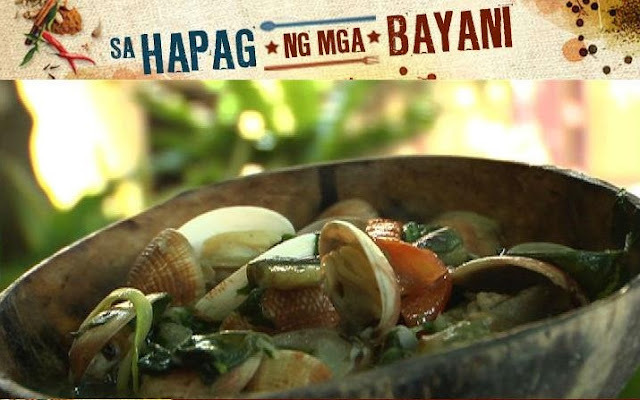 Dinengdeng is a known vegetable dish to Ilocanos, and the Ilokana hero Gabriela Silang is famous in their place for cooking this dish. This is the original recipe of Gabriela. 1. Boil the chopped sweet potatoes in a pot and then season with bagoong alamang when the sweet potato is nearly cooked. 2. Add the eggplant and saluyot leaves to thicken the sauce. 3. Add the katuray flowers, malunggay leaves and ampalaya leaves. 4. Add some shelfish or halaan for added flavor. 5. Once the soup boils, serve dish immediately.